the MECU (Middle-Earth Cinematic Universe) is moving forward with that once-rumored Lord Of The Rings series, courtesy of Amazon. for those who feared there wouldn’t be any further return journeys to Middle-Earth, rest assured there will be plenty. while no showrunner or cast have been announced as of yet (still rooting for PJ, obviously), it has been confirmed that the series will focus largely on the rise of young Aragorn from humble beginnings to, well…y’all know the rest. given that the show will take place during an in-between period (which encompasses 60 years from the events of The Hobbit up to the start of Fellowship), there will be some characters missing but there will also be plenty of familiar faces to look out for. one crucial player has expressed some doubts about returning, which could pose an issue for many fans…but another has already stated they would love to come back for more, and that is an encouraging thought. conferences are always filled with free food, informative panels, swag bags & the occasional surprise guests. the tech conference i attended last weekend certainly offered all of the above (except for the surprise guests). it’s a good thing one of the sponsors gave out free hand sanitizer bottles, because after a few days of being surrounded by hundreds of people you’re bound to catch the dreaded ‘post-con crud’ (cough/cold). fortunately, it’s not bad enough to keep me home from work. but i do feel bad for everyone who hears me sneezing. this is where remote access will come in handy in the future. 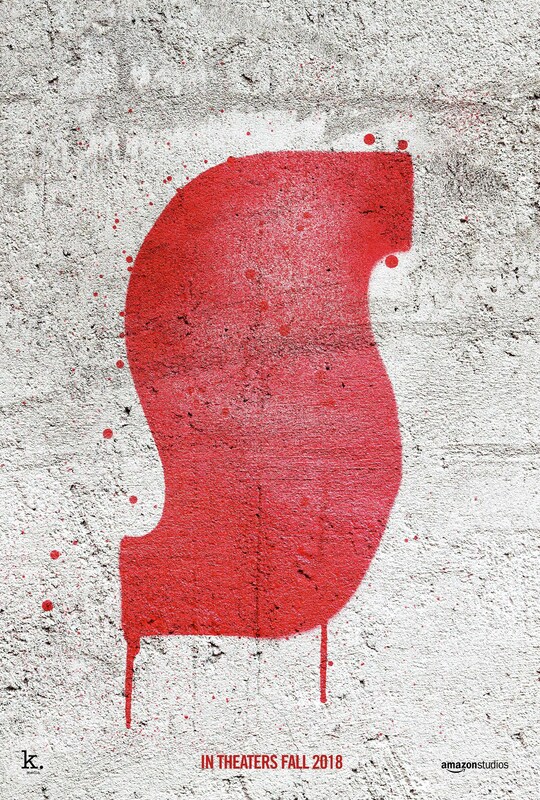 while my conference may have been low on the surprise factor, CinemaCon delivered a wallop during its lunchtime schedule with the premiere of the first footage from the upcoming Suspiria remake. judging from the reactions, whoever decided to show the clip while people were chowing down is either insane or a marketing genius…or both. while i’m not the biggest fan of Dario Argento, Suspiria is considered to be his most well-known and most successful movie. i understand why people love it: the visuals & the soundtrack are important elements in his approach to storytelling (remember, i studied Film in Undergrad). when news of the remake broke, it sent fans into a frenzy because they felt it would ruin a classic: replacing Goblin with Thom Yorke for the score is completely ludicrous. on the other hand, there is no modernization of the plot so expect lots of 70’s outfits/haircuts. speaking of the original, Jessica Harper has given her support by appearing in a small role in the new version so that has put some of the anxiety at ease. but until the first trailer drops, we’ll all just have to rely on the commentaries from those terrified lunch-goers who may never look at quinoa salad the same way again. i realize i’ve been fairly inconsistent with blogging over the past few months. don’t worry, i haven’t forgotten about you, dear WordPress (or the few people who actually read my posts, the majority of whom i know IRL). i’ll try to remedy that. i suppose i’m a bit of all of the above…except for the eating breakfast on the keyboard and dreaming in code parts.